The current Snapshot has been updated to 13w36b! If you are testing the Snapshots out, be sure to update the version in your launcher, by selecting it from the "Use Version" drop-down box in your "Edit Profile" menu! [Bug MC-29463] – Can't obtain achievement "Beginning?" The moment you have been waiting for has finally arrived: the 13w36a Snapshot is out! This Snapshot covers a pile of awesome new features, so let's just jump right in, shall we? Hm...it seems the features are hidden! Can you find them? DID YOU FIND A BUG INSTEAD OF A NEW FEATURE? Report bugs by clicking here! I know I'm not a huge part of this community, but I thought I would post here with my thoughts on the new snapshot and what features there are. So far, found 6 new types of flowers. Azure Bluet, Red Tulip, Orange Tulip, Pink Tulip, Poppy, Oxeye Daisy. EDIT: More flowers (Lilac, Rose Bush, Peony). Birch forests. Have the yellow flowers always been called dandelions? EDIT v.2: Melons now spawn in patches like pumpkins. Or was this from a previous update? I love the new biomes. Finally! I like this snapshot and features! But why 'Super Secret Setting' is not working in option? You can get double tallgrass (yes, that is what it is called) by bonemealing tall grass. 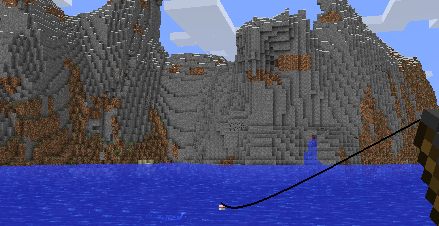 There are 2 fishing rod enchantments, Lure and luck of the sea, both max level III. Gravel now spawns in patches under bodies of water like sand/clay. Rose bushes, big ferns, sunflowers, lilacs and 9 other flowers, single roses seem to have been removed. Salmon, cooked salmon, clownfish and pufferfish. Potion of snorkeling, not sure how to brew. Particles appear around lures in water, seem to make fishing easier. Sugar cane block now has a darker green texture. Oceans now have gravel on the bottom and seem to be slightly deeper. Savanna biome with "acacia" trees made of jungle wood and oak leaves. Will edit when I find more things. Mouse over the old dirt and the new dirt in your inventory to find another bug. 1.7 is looking to be SUPER SUPER SUPER awesome. I cant wait to see what is in "super secret settings"
Have the single yellow flowers always been called dandelions? Also, sugar cane seems to be a darker green than before. Unless that's the usual colour using default textures. These new biomes are wonderful! Sweeeeeeeet... New biomes are looking pretty cool. I haven't really wanted to play Minecraft for a few months. Thank you for this snapshot!